Since we discovered Muss & Turner’s about two years ago, we’ve eaten there at least once a month, often twice. It’s a convenient choice, either if we’re in the Vinings area, or, since it is only about a twenty-five minute drive from the house, most any other time. We have a couple of favorites that we often fall back upon, when ordering. Jo likes to start with Todd’s token salad. 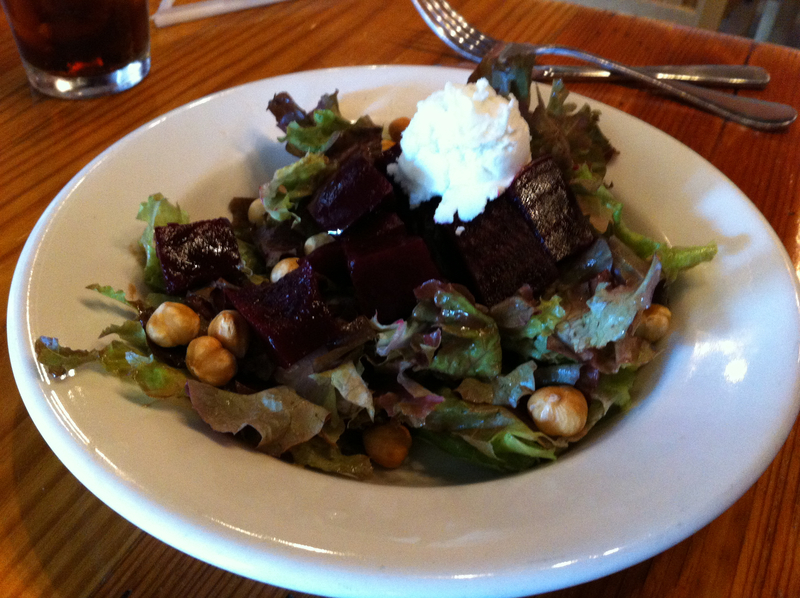 A salad of organic mixed greens with beets, goat cheese, toasted hazelnuts with balsamic vinaigrette. She’ll follow it up with the “Do You Have Tilapia Today” fish sandwich (a real winner) or whatever else strikes her fancy. I usually alternate between the burger (big Green Egg grilled grass-fed beef, roasted poblano pepper, melted cheddar, red onion with house-made cilantro aioli on a French bun) and Swifty’s dream – named in honor of Jay Swift, owner of 4th & Swift. 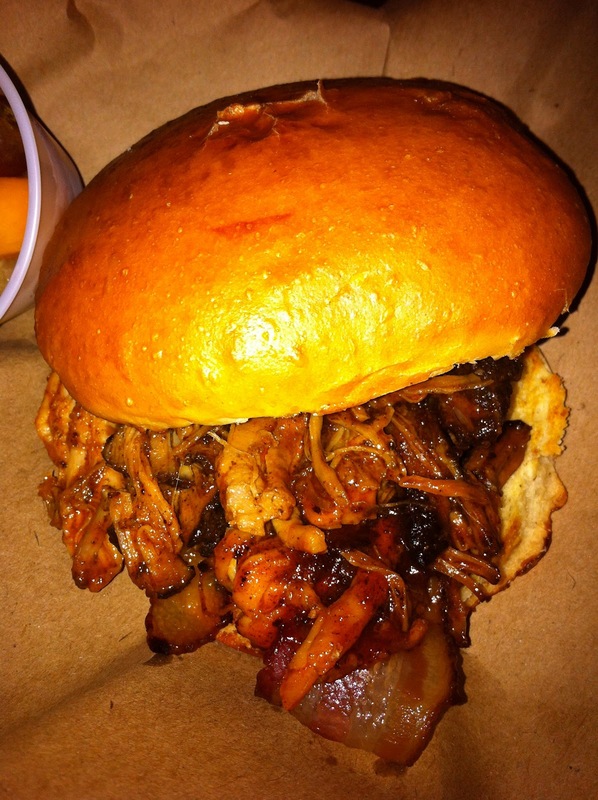 Swifty’s dream is slow smoked pork shoulder, M&T’s barbecue sauce, spicy horseradish slaw (which I had held) and applewood smoked bacon on a French bun. Why more people don’t combine barbecue and bacon, I don’t know, but it is genius. 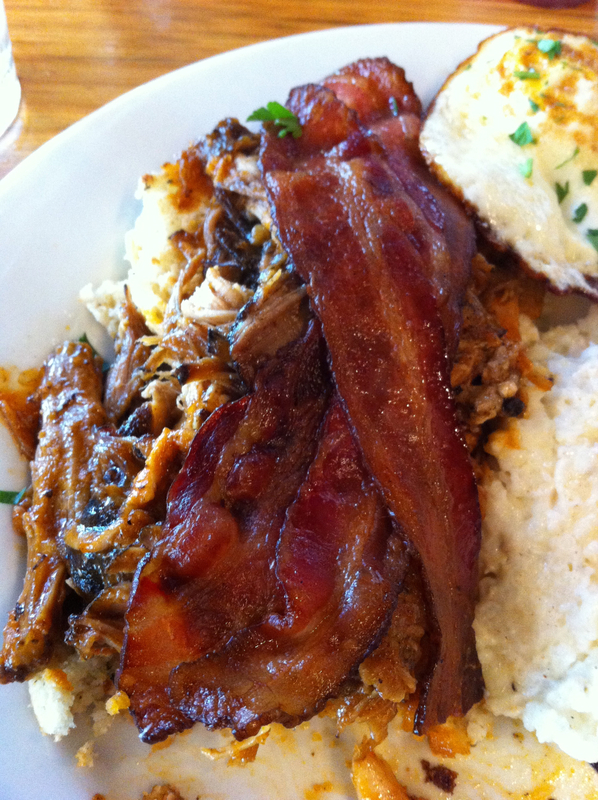 Barbecue and bacon, served on a bed of Logan Turnpike grits, topped with a fried egg. 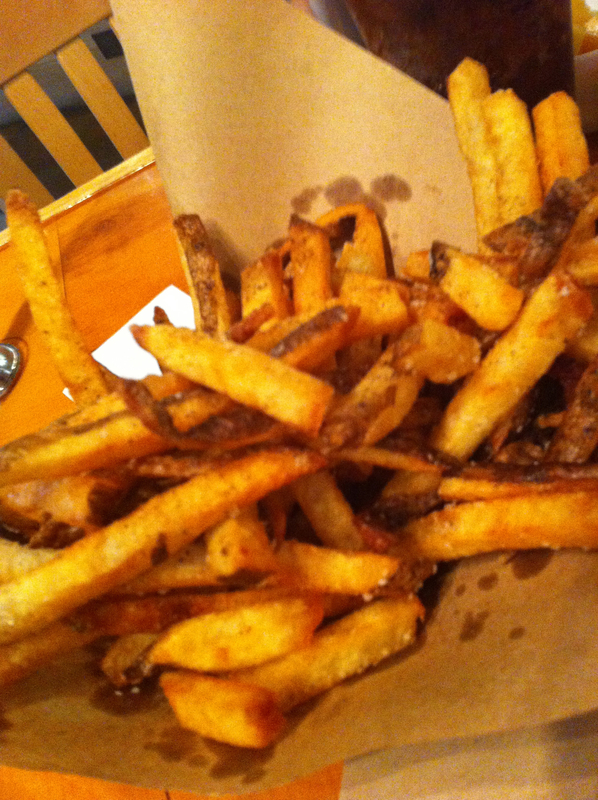 Regardless of the sandwich, we always order the basket of fries, with their sambal sauce. The fries are double-fried and the sambal is amazing. A sambal is, in it’s simplest elements, made from chili peppers and salt and they mix it into a mayo for dipping. Always a winner, brunch, lunch or dinner.